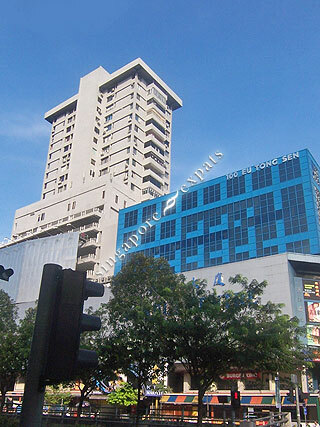 PEARL'S CENTRE is located at 100 EU TONG SEN STREET in district 01 (CBD, Chinatown, Marina Bay) of Singapore. PEARL'S CENTRE is a Condo development. Educational institutions like CHATSWORTH INTERNATIONAL SCHOOL (ORCHARD), JEWELLERY DESIGN & MANAGEMENT INTERNATIONAL SCHOOL, INSPIRATION DESIGN INTERNATIONAL SCHOOL, CANTONMENT PRIMARY SCHOOL, RIVER VALLEY PRIMARY SCHOOL and CHIJ (KELLOCK) are near to PEARL'S CENTRE. PEARL'S CENTRE is accessible via nearby OUTRAM PARK, CHINATOWN and TANJONG PAGAR MRT Stations.